From SR 17 in Frostproof, follow N Lake Reedy Rd east 3.3 miles to Lake Arbuckle Rd. Turn right and continue to Ruck’s Dairy Rd. Cross cement bridge to enter gate. The south gate is 8 miles east of Avon Park along SR 64. The loops lead through moderately rolling hills with pine forests, prairies, wetlands, scrub, and marshy lakeshore along the west side of Lake Arbuckle. The Lake Godwin Trail runs 3.9 linear miles across the preserve to break the larger loop in half, and the 2.7-mile Kellerman Trail connects CR 64 with the Hidden Hammock primitive campsite. The best way to sample the Arbuckle Tract is to walk the Old Cabin Nature Trail, a rugged 1-mile interpretive loop around a prairie lake through wet flatwoods, scrub, and extensive cutthroat seeps– rare grasslands found only along the Lake Wales Ridge. 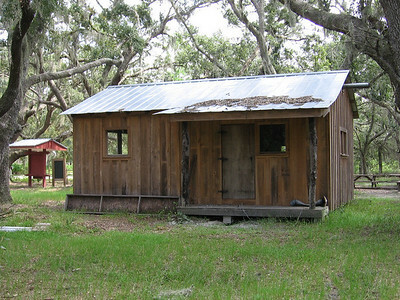 Both the Reedy Creek and Old Cabin trails are part of the Florida State Forests Trailwalker Program.